Hecking has given the Foals plenty to smile about since he took over in December. A football season is a marathon, not a sprint. Being first out of the blocks does not necessarily mean arriving first across the finish line and Borussia Mönchengladbach are developing something of a habit of finding their peak energy levels when those around are already deep into their reserves. For the second season running, the Foals have picked up a canter after initially stumbling out of the gates, and they are now flying into the final furlong. 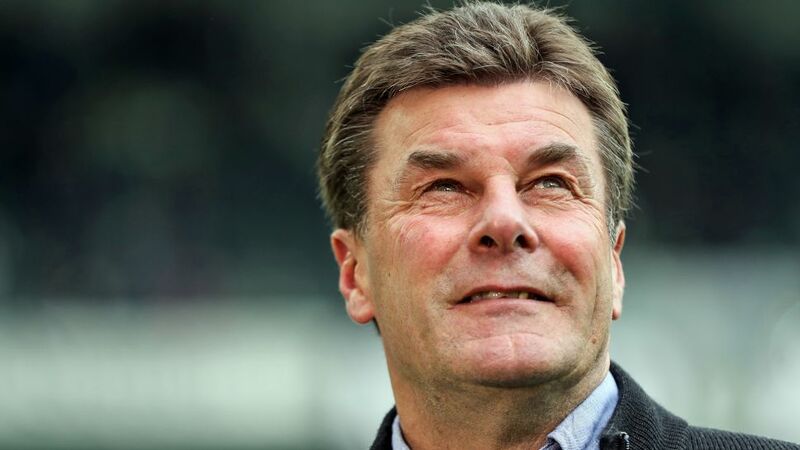 Their reward could once again be European football, with Dieter Hecking this time transforming their fortunes, just like his predecessor Andre Schubert did last term. They have doubled their wins from four to eight and tightened things up at the back too, with Yann Sommer keeping six clean sheets in 2017 alone. The Switzerland No1's haul of ten for the season is bettered only by Bayern Munich's Manuel Neuer and Hoffenheim's Oliver Baumann. And in the middle of the park, Lars Stindl has rolled his sleeves up noticeably. "In difficult times, we've always shown these bounce-back qualities," said the Gladbach captain, who has scored eight of his 11 goals this season since the turn of the year. With two assists, he has also been involved in ten of Gladbach's goals in 2017, and the fact that many of those have come late in the day – 19 out of 26 goals this year have come in the second half – demonstrates once again how the Foals simply refuse to lie down. "It was very tough after those difficult, intense and disappointing weeks," admitted Stindl after Gladbach put Europa League and DFB Cup elimination behind them by beating Mainz last time out. "We wanted to show a reaction and this win was for our morale." That is now sky high as Gladbach set their sights on salvaging their season by achieving "something special", according to their captain. "We're out of the cup and the Europa League, but European qualification is within reach," he said. "That's what we want now." And if history is anything to go by, it is what they will get too.